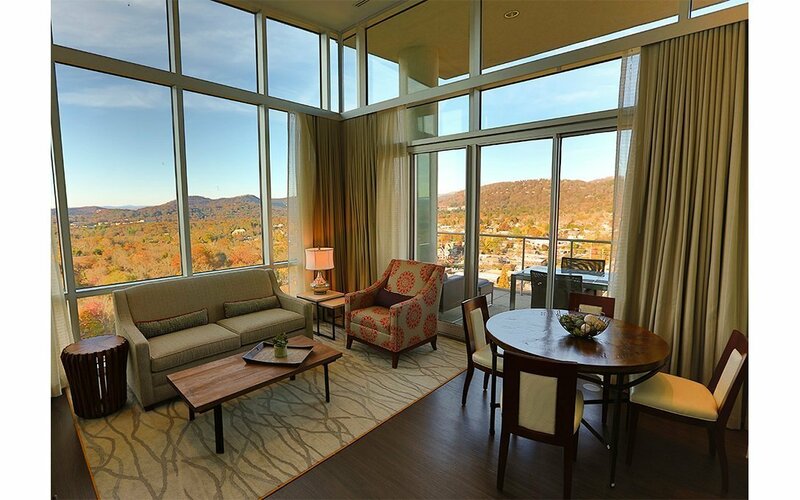 As a city, Asheville embodies the contrast of a small, yet urban core nestled in the natural environment of the Great Smokey Mountains. With its many galleries, locavore restaurants, microbreweries, and rich architectural history, Asheville is a city of culture. Given its location, Asheville is also a city of the outdoors and nature. Sited on a .8 acre brownfield site sandwiched between the edge of downtown and the interstate, the building addresses the scale and speed of the highway as well as its prominent place in the Asheville skyline. Its proportions are derived from the Fibonacci sequence and golden section most commonly symbolized by the nautilus shell – the logo of the Hotel Indigo. A modern interpretation of the classic tower organization results in a differentiation of materials at base, middle and crown. The buff brick echoes several historic downtown buildings; the base is clad in locally available natural stone. Transparency on the first floor creates an urban living room at the pedestrian scale. The interior scale is human and the feeling is warm and inviting with a rich mix of natural materials including wood and stone with more urban metal, stained concrete and soft color palette. 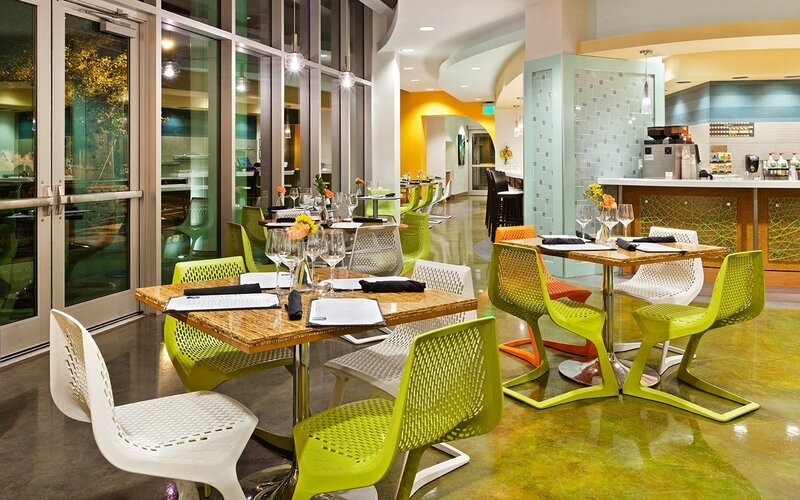 Unlike a standard hotel, although the floor plate is typical there are no typical room types. The rooms fit together in a lock and key or puzzle effect that makes each new stay a surprise. This variation is accentuated by differing color schemes within each of the rooms. 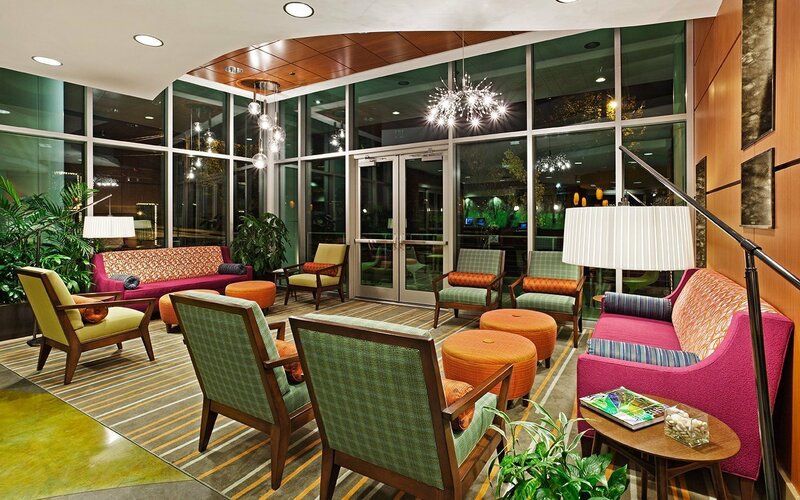 CJMW Interior Design Studio worked with local furniture manufacturers to deliver the look within a limited budget. The design reflects the juxtaposition of urban concrete and steel versus the warmth of materials, texture and colors found in nature. Throughout the hotel, the aesthetic is light and open, featuring glass tiles, stained concrete, quartz-like countertops, decorative pendants. 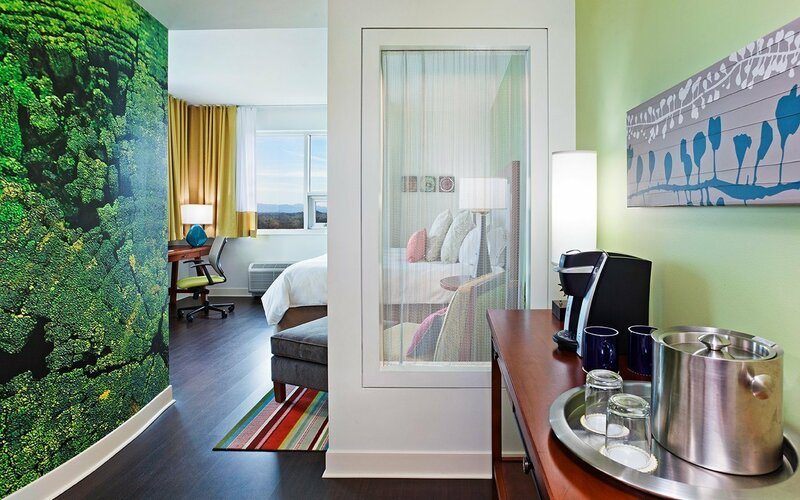 Large, graphic murals in each guest room and throughout the hotel highlight both the industrial and natural elements of the region. 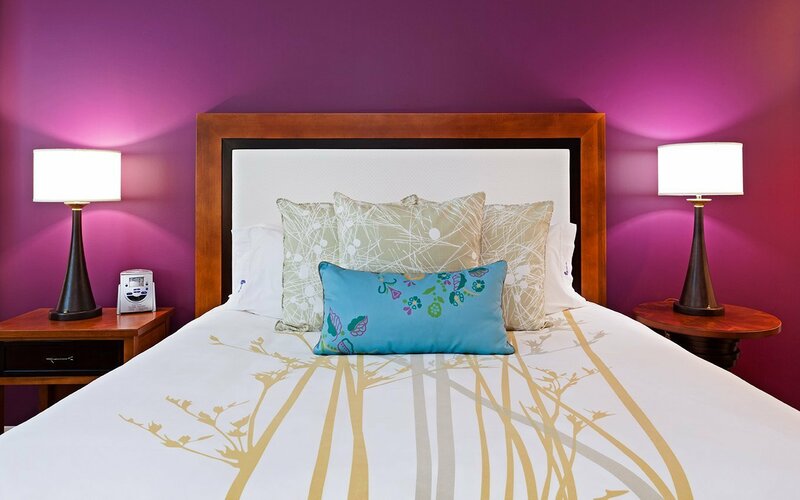 Designed at a time when the Hotel Indigo brand was undergoing a revision of their design guidelines, CJMW’s design process as well as the results of that process helped set the bar for future properties. 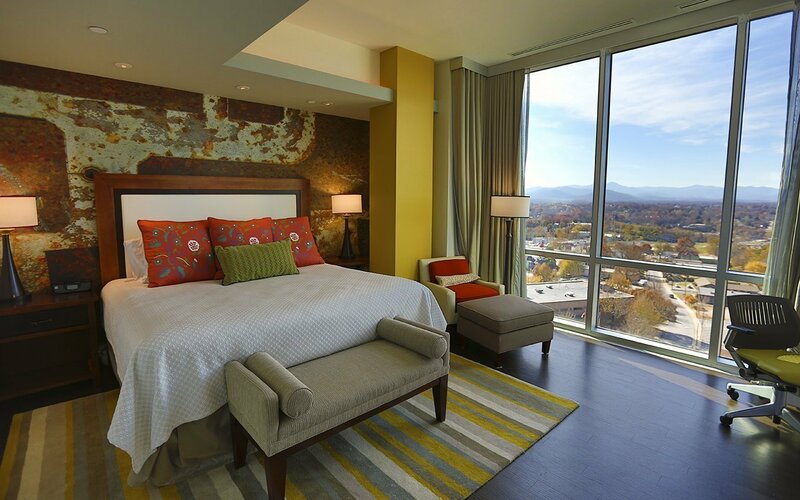 Hotel Indigo Asheville stands as a distinct counterpoint to the standard, monotonous, looks-the-same-in-Savannah-as-it-does-in-Chicago hotel. By re-making a brownfield ‘throwaway’ site into an urban anchor, by creating a building that specifically engages with and responds not only to the local vernacular, but also to the local ethos, the project sinks itself into the City as an integral but new and vibrant piece. Originally designed with four floors of condominium units atop the hotel, demand was such that the team was asked to return to convert 16 units to 8 hotel suites. Taking cues from and building on the original design, the suites offer guests the Hotel Indigo experience in an apartment-style setting. 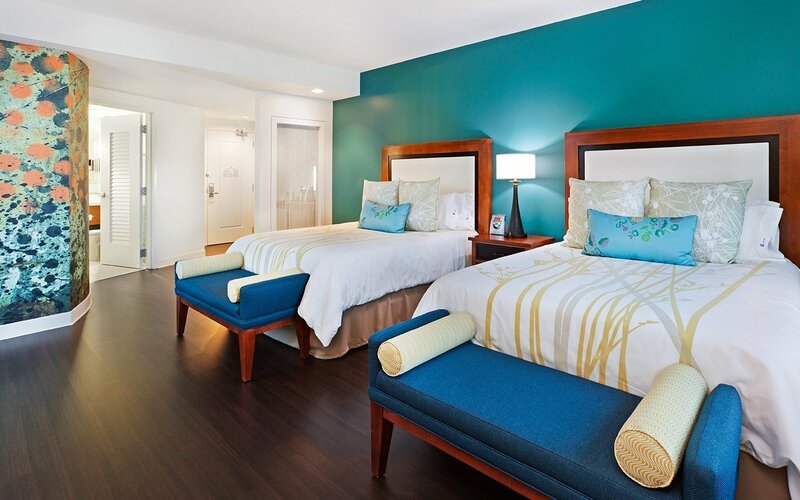 Currently, after five years of consistently high-occupancy, CJMW is working with hotel owner HLI Hotels to refresh guest areas and rooms.